Boston University researchers told Congress Friday that football-related brain damage is a major health concern. The wife and daughter of Aaron Hernandez have dropped their CTE lawsuit against the NFL and the New England Patriots and plan to re-file it Monday in another court. The "notice of voluntary dismissal without prejudice" was filed Friday in federal court in Boston. The family's lawyers told NBC Boston they are expanding the suit and plan to re-file Monday in Suffolk Superior Court because the issues involved in the complaint are state and not federal in nature. 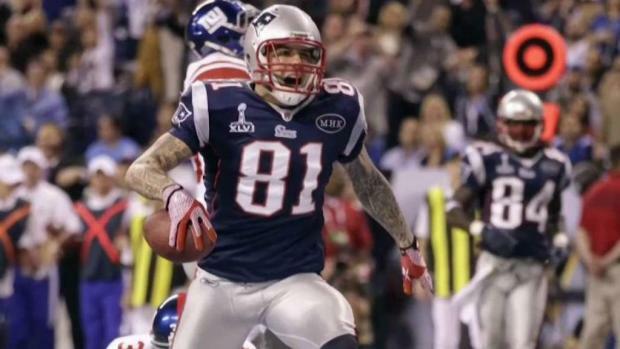 The lawsuit was filed last month after a brain study showed the former Patriots tight end suffered from a "severe case" of the degenerative brain disease chronic traumatic encephalopathy. Experts said it was the most severe case of CTE they had ever seen in someone his age. The suit claimed the team and the league deprived 4-year-old Avielle Hernandez of the companionship of her father. The NFL said last month that it would "vigorously" contest the lawsuit, saying it would face "significant legal issues from the start. League spokesman Joe Lockhart said "any attempt to paint Aaron Hernandez as a victim" is wrong. Hernandez had Stage 3 out of 4 CTE, usually found in a 67-year-old man. Boston University officials who examined his brain said he also had early brain atrophy and perforations in a central membrane. CTE can be caused by repeated head trauma and leads to symptoms like violent mood swings, depression and other cognitive difficulties. Hernandez killed himself in April in the jail cell where he was serving a life-without-parole sentence for a 2013 murder. His death came just hours before the Patriots visited the White House to celebrate their latest Super Bowl victory. Soon after his prison suicide in April, Hernandez's family decided they wanted his brain to be studied by the Boston University Chronic Traumatic Encephalopathy Center. State officials originally refused to release the brain because it was part of the ongoing investigation into Hernandez's death, but later agreed to release it after his lawyer accused them of holding the brain illegally. Baez said at the time that the family hoped Hernandez's brain could be examined to help future athletes and to shed any more light on his client's death. 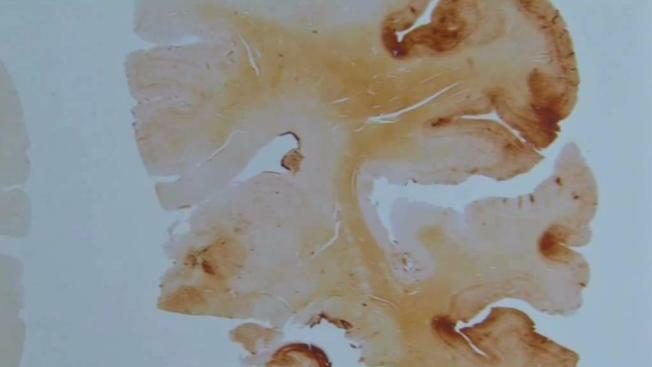 A recent study conducted by Boston University found CTE in the brains of 110 of the 111 brains of former NFL players that were tested. An attorney representing the family of Aaron Hernandez announced that the ex-NFL player suffered from CTE. Hernandez, 27, was serving a life sentence for murder and was acquitted in two other killings just days before he hanged himself with a bed sheet attached to his cell window at the Souza-Baranowski Correctional Center in Shirley, Massachusetts, in the early morning hours of April 19. Hernandez blocked access to his cell from the inside by jamming cardboard into the door tracks, investigators said. They also said there were no signs of a struggle and Hernandez was alone at the time of the hanging. His Bible was found marked with blood at John 3:16, a verse that describes eternal life for those who believe in God. The verse name was also written in blood on the wall and in pen on his forehead. A star for the University of Florida when it won the 2008 title, Hernandez dropped to the fourth round of the NFL draft because of trouble in college that included a failed drug test and a bar fight. His name had also come up in an investigation into a shooting. In three seasons with the Patriots, Hernandez joined Rob Gronkowski to form one of the most potent tight end duos in NFL history. In 2011, his second season, Hernandez caught 79 passes for 910 yards and seven touchdowns to help the team reach the Super Bowl, and he was rewarded with a $40 million contract. But the Patriots released him in 2013, shortly after he was arrested in the killing of semi-pro football player Odin Lloyd, who was dating the sister of Hernandez's fiancee. 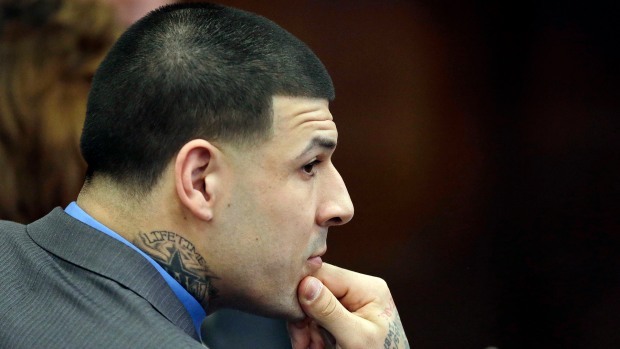 Hernandez was convicted and sentenced to life in prison; the conviction was voided because he died before his appeals were exhausted, though that decision is itself being appealed. 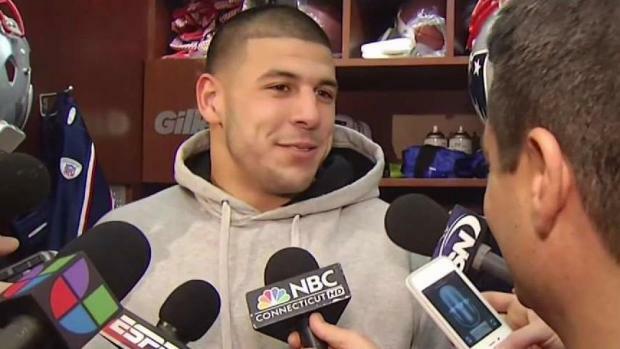 An attorney representing Aaron Hernandez said Thursday that the former football star suffered from a serious brain injury. SUICIDE PREVENTION HELP: The National Suicide Prevention Hotline (1-800-273-8255) is open 24 hours a day, 7 days a week.